Beautiful Guys: He's Got Legs! Pride Parade NYC, originally uploaded by funfotoguy2. 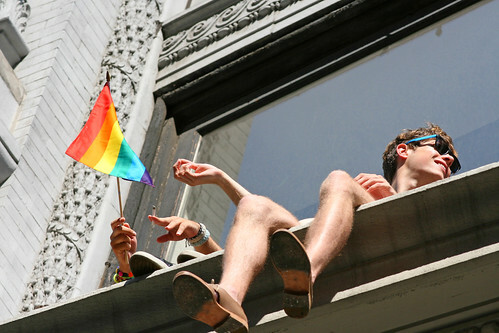 This guy was perched precariously on a balcony above 5th Avenue in when I took this photo at the Pride Parade in NYC back in 2009. He's got nice legs and a cute face too. I hope you enjoy the handsome hunk in this photo from my archives!